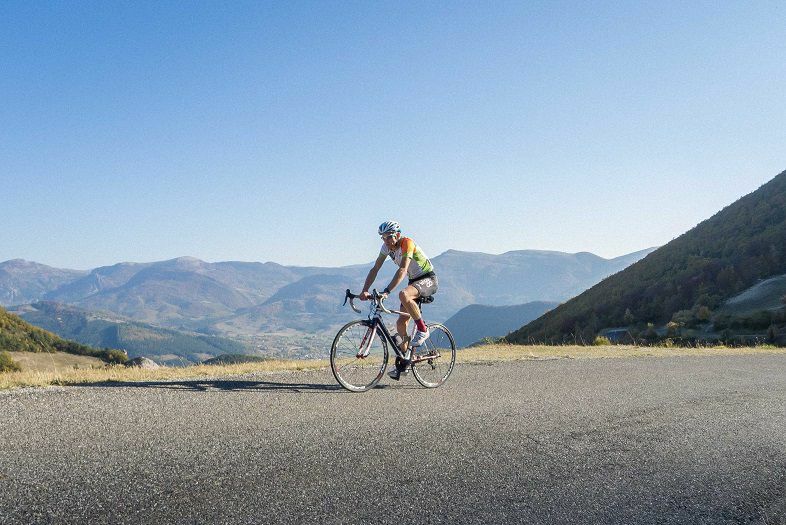 A great route into the Drome with plenty of climbing and impressive views of Mont Ventoux. The route is described with the steeper of the 3 climbs to Col St Jean via Ballon but any of the other climbs can be used. After descending to Laborel there is a 8km climb to Col Perty which was used by the Tour in 2006. The views from the Col are spectacular and even more impressive during the descent. There is a lovely café after the descent in St Auban sur l'Ouveze which is well worth stopping at before a gentle climb towards Col Aulan. From here there is a lovely descent past Chateau Aulan and into the Gorges de Aulan before reaching the thermal spa town of Montbrun Les Bains. From Montbrun the route described climbs to the village of Ferrassieres and onwards over Col de l’homme mort before descending to reach Sederon and a gentle spin back along the valley to reach Serre Des Ormes. Get the Bikemap app for your mobile to ride Col Perty, St Jean and Homme Mort, to track your own routes and to share them with an active online community of 1,000,000+ cycling enthusiasts.